Squeaky Clean Sofa is the best in bringing back the shine of your upholstery. We have over 20 years of experience in this field. Squeaky Clean Sofa provides the best upholstery cleaning services in Melbourne. Upholstery of a house gives a beautiful look to your home whereas a stained sofa or couch makes a bad impact. So it is important to clean your upholstery time to time. We have a team of trained professionals who would make your upholstery look new and beautiful. We have the expertise and experience to offer you best cleaning services in residential as well as commercial places. We take special care of the fabric of your sofa and adopt the best cleaning process. With Squeaky clean sofa you can be ensured of complete satisfaction. Squeaky Sofa Cleaning Melbourne – Call 1800 134 886 for the best couch & leather upholstery cleaning in Melbourne. 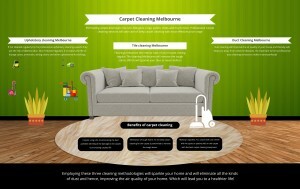 We are a team of experienced and accomplished sofa cleaners in Melbourne. We provide specialized sofa cleaning services across the suburbs of Melbourne, customized and tailor-made as per the specific need and requirements of our clients. You can approach us for leather couch cleaning Melbourne, steam cleaning sofa Melbourne, world-class upholstery cleaning and more. Prolong the life of your upholstery today by hiring most trusted sofa cleaning company in Melbourne. We are best at bringing your furniture to its original condition and restoring its shine once again. Plus, we provide Scotchgard™ Fabric & Upholstery Protection at multiple levels including commercial spaces, residential spaces, industrial spaces, shopping centers and more.